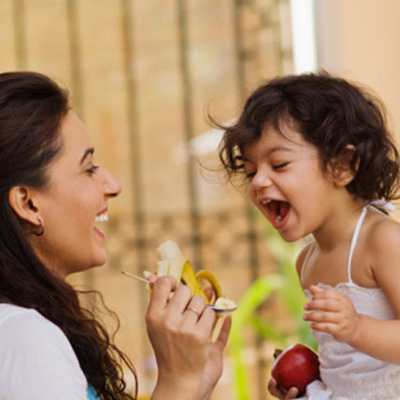 Use this quiz to assess your child’s eating habits. 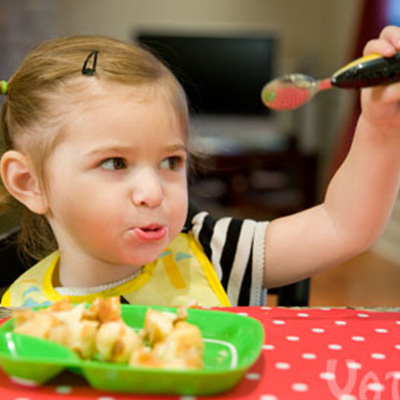 Does your child require distraction or entertainment from toys, television or caregivers to participate in a meal in order to eat? 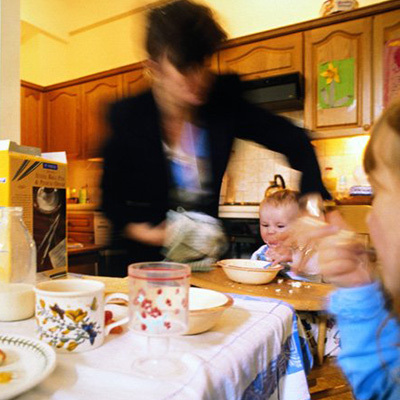 Are you chasing your child with food or making special meals for your child because they will not eat any other way? 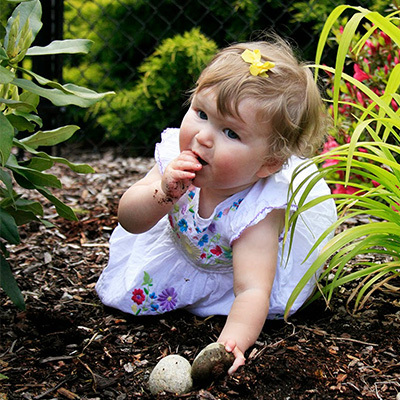 Does your child gag or spit out food on a regular basis if challenged to eat new foods or by the smell of foods alone? 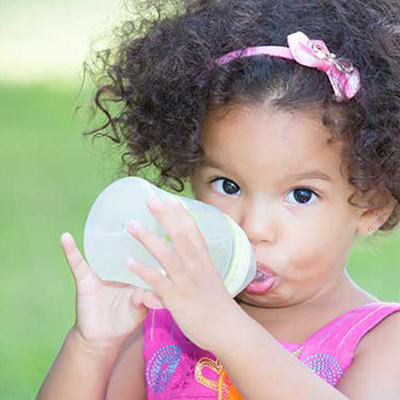 Is your child over the age of 12 months and still using a bottle to feed and prepare for sleep? 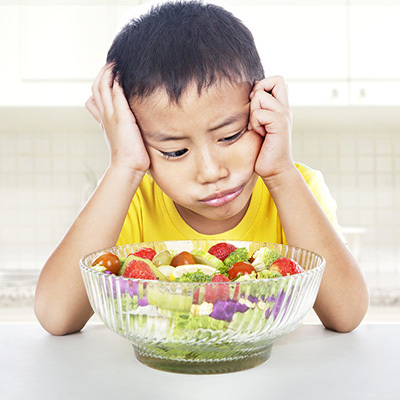 Does your child eat fifteen or fewer foods exclusively? 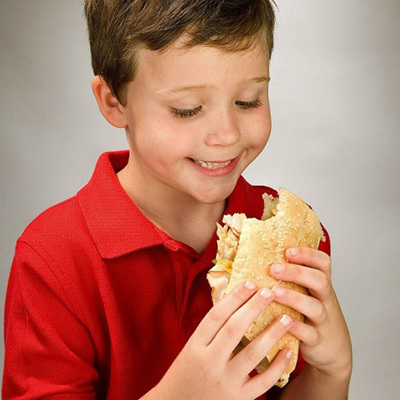 Does your child seem uninterested in food and never - if ever - expresses hunger to you? 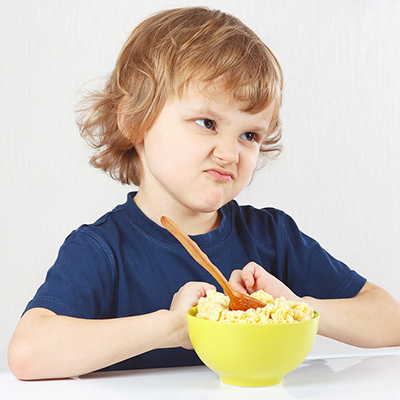 Does your child refuse to try new foods? Does your child's lunch box come home with a majority of the food left uneaten or do teachers tell you that your child is not participating in meals at school? 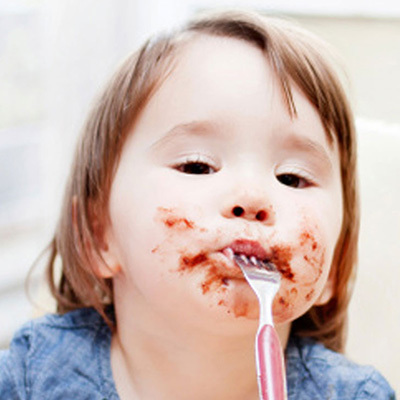 Does your child seem unaware of food left on his or her face when eating or keep pockets of food stuffed in their cheeks? 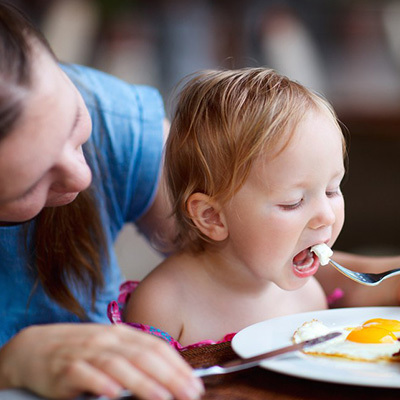 Have you adapted your lifestyle around your child's eating habits and preferences or medical needs? 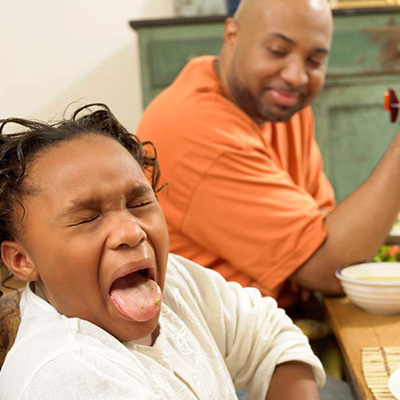 Does your child throw food or reject utensils and plates or refuse to sit and eat a meal with family or classmates? 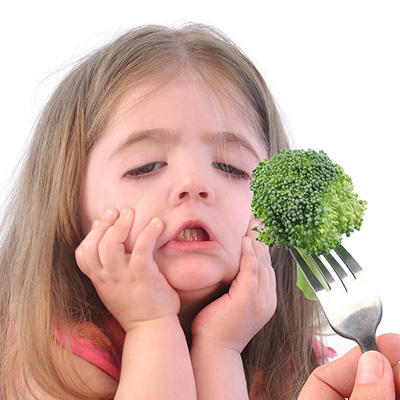 Does your child's diet omit entire food groups such as vegetables or fruits? 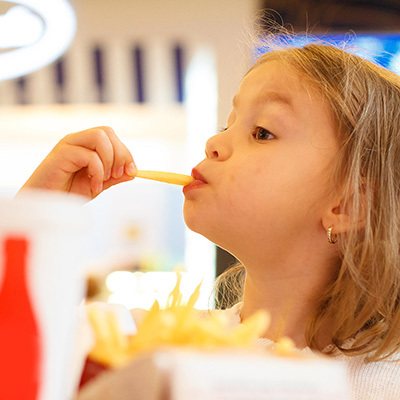 Does your child prefer the texture and consumption of processed foods such as chicken nuggets and reject whole foods such as carrots? 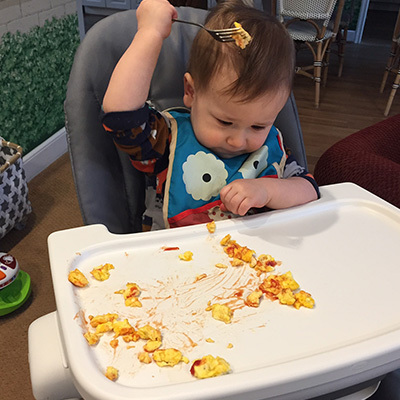 Is your child over the age of twelve months and dependent on you to spoon feed them or only uses his or her hands instead of using utensils to feed themselves? Does your child show signs of vitamin/mineral deficiencies such as white spots on nails, head sweating or unusual cravings for non-nutritive substances, such as ice, dirt or rocks?